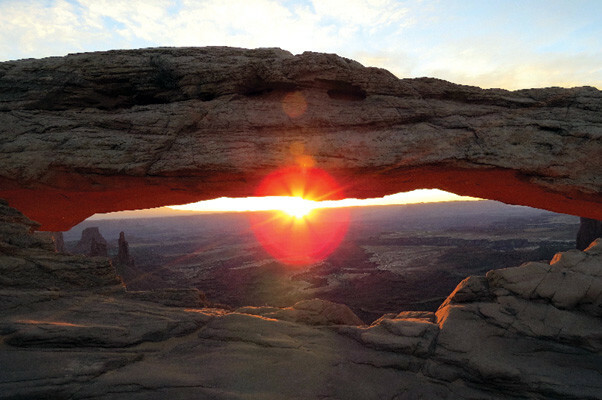 The sun rises Nov. 3 behind Mesa Arch in Canyonlands National Park in Utah. Mesa Arch is famous for its view, especially during sunrise. I hadn’t taken a vacation in forever and decided it was time to go on a trip. I wanted to go somewhere relatively easy to get to but somewhere far enough away that it felt like a getaway. That’s why I chose to go to Moab, Utah. 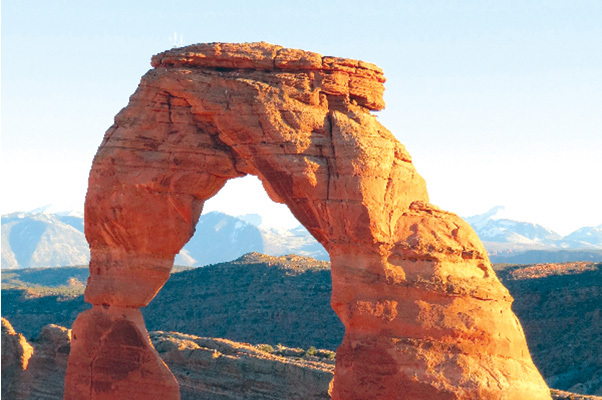 Moab is surrounded by beautiful red rock landscapes and is only a seven-and-a-half hour drive from Phoenix. 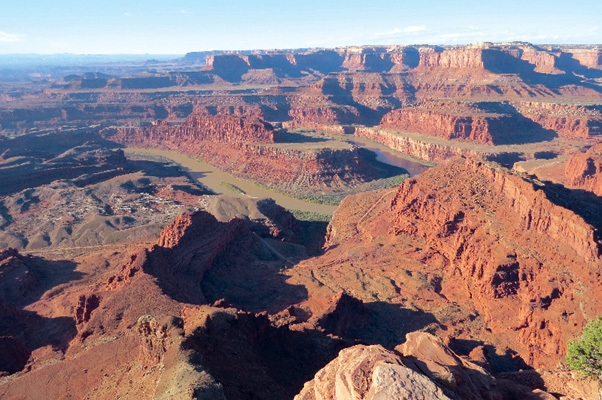 It’s also near Arches National Park, Canyonlands National Park and Dead Horse Point State Park. Before I dive into more detail about Moab, I will say on the way there we first stopped by Monument Valley Navajo Tribal Park. Monument Valley is a red-sand desert and is located on the Arizona-Utah border. It is known for the giant sandstone buttes of the park. To get into the park, there is a cash-only fee of $20, which covers up to four people per vehicle. Also, some choose to drive the 17-mile scenic drive to take pictures. When we arrived at Moab, I was pleasantly surprised by how picturesque the city was. We checked into our hotel and went for dinner at the Moab Brewery. For anyone new to Moab, I definitely recommend going here first. It is really busy, but worth the wait. This photo of the Colorado River from Dead Horse State Park in Utah was taken Nov. 3. 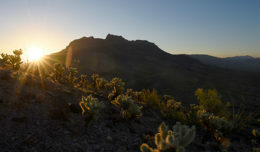 The park is 5,362 acres of desert at an altitude of 5,900 feet. The brewery has been known for its hand-crafted ales since 1996. We ordered nachos to start and tried two of their brews, as well as two different hamburgers. The burgers were juicy and delicious, and their beer-battered onion rings were to die for. The prices weren’t bad either; it was less than $40 for the entire meal. The next day we visited Arches National Park, and I got a free pass since I was active-duty military. We received a map and a visitor’s guide. The drive through the park is flanked by red rock landscapes. There are also several scenic viewpoints to take pictures. Delicate Arch in Arches National Park in Utah is photographed Nov. 2. Tourists from around the world come every year to see the 65-foot-tall arch. We headed to the hiking trail up to the famous 65-foot-tall Delicate Arch to catch the sunset, and boy was it a view. Tourists from around the world were there with cameras ready to capture the shot. It was nice just to sit there and absorb the surroundings. Another place to consider visiting is Mesa Arch located in Canyonlands National Park. Because Mesa Arch is widely known for a breathtaking view during sunrise, we woke up at 4:30 a.m. to catch it. The drive was about 40-minutes long to reach the park’s visitor center, but well worth it. We pulled up to the trailhead and hiked up the quarter-mile trail. It was quite a site. A word of advice, I suggest to arrive 30 minutes before sunrise to catch the perfect shot. Photographers were already lined up, and it was difficult to get anywhere near the arch, so we waited until the crowd thinned. Horseshoe Bend Nov. 5 in Page, Arizona. 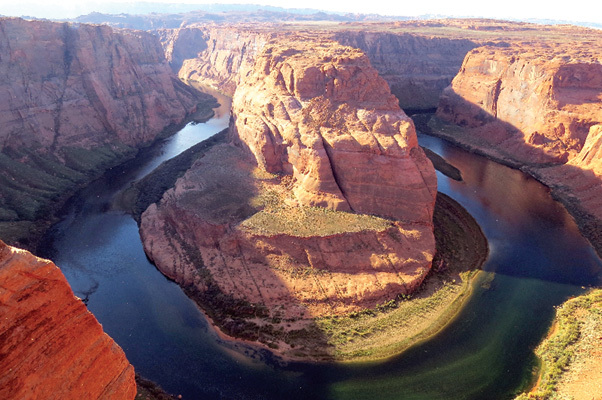 The bend is located five miles downstream from the Glen Canyon Dam and Lake Powell. On the way back, we stopped at Dead Horse Point State Park view point to get a look at the Colorado River and Canyonlands National Park, which can be seen from the parking lot. The park is 5,362 acres of desert at an altitude of 5,900 feet. On the way home, we made one last stop at Page, Arizona, to see Horseshoe Bend, which was one of my favorite views. It’s a little scary, as there is no fence or barrier, so selfies are not a good idea. The cost of the trip, other than the gas and hotel, was affordable. I packed meals so the only meal we ate out was dinner. I recommend visiting Moab to anyone who loves the outdoors and would like to get away from the desert for a bit.